The standard reply to this question is to “allow a maximum of 14 days for delivery” however in virtually all cases orders within India should arrive within a week of ordering. We aim to dispatch all t-shirts within two working days of receiving your order although unforeseen circumstances, such as items being out of stock at the supplier, can occasionally delay dispatch. All orders are sent by by top courier companies like FEDEX, ARAMEX, DELHIVERY, DTDC Courier and should therefore arrive within Five working days of dispatch (you will receive an email to let you know when your order has been sent). If payment is made via our our secure Net-banking/ Credit Card/ Debit Card options powered by CCAVENUE or in the case of Bank transfer and cheque payments, then shipping is free of cost within India. We charge shipping based on the country and the weight of the order for international shipments. Send us an email on contact@zealevince.com and we will provide you with our bank account details. If COD (Cash On Delivery) is used to pay for the product, then an additional handling charge of Rs 75 per Order is applied. If you receive a shirt but decide that it is either too large or too small we will be happy to exchange it for the correct size. 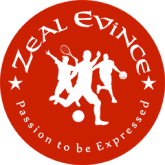 Simply send us an email at contact@zealevince.com or call us or Whats APP us at +91 7045247047. We will share the address where you will need to ship the product for replacement. The Product should be unworn and unwashed and should be sent to us in the same package as you have received it. Please make sure that you also complete and return the Return Form detailing your name, address and correct size. You can download your Return Form HERE. We are so confident that you will be happy with the quality of your shirts that we offer a 100% money-back, no quibble returns policy. All that we ask is that the shirt is returned unworn and unwashed, and that you specify why you are unhappy with the goods on the Return Form. My Credit/Debit Card was declined – why? For security reasons all our credit and debit card processing is done by CCAVENUE – a specialist company that handles thousands of such transactions every day. Therefore, we never actually see your details – all we get is confirmation when your order has been successful. If your card is declined and you are not sure why then you can contact CAVENUE on contact@ccavenue.com detailing the message you got and they should be able to explain the problem. I want a shirt in a color other then those listed – is this possible? We have set-up a mailing list in order to keep people up-to-date with new designs and products. Simply enter your email address on this page and we will send you mails whenever we bring new stuff out. You can reach us at +91 7045247047.